Tired of checking your mailbox and finding only junk mail from credit card companies? 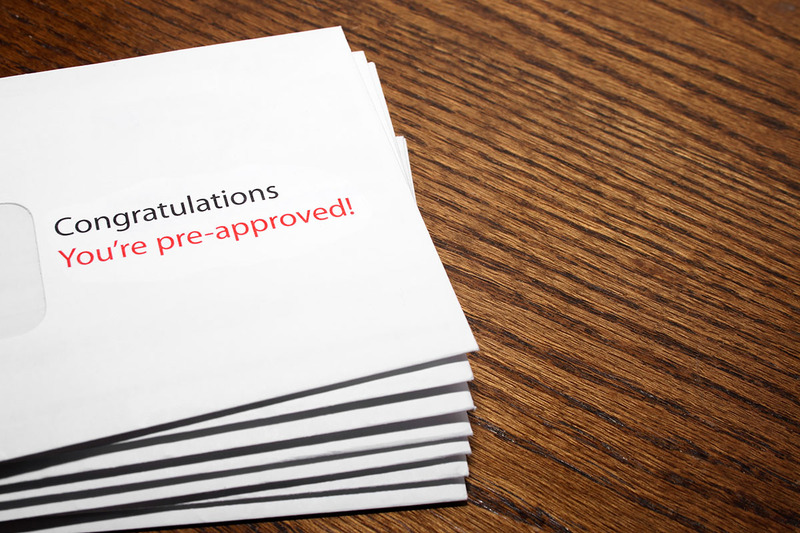 It’s nice to know you’ve been “preapproved” for the chance to run up a couple of hundred bucks of consumer debt, but let’s be real: About 99% of those offers (unscientific estimate based on my mailbox) just end up in a landfill. Did you know you have a right to stop those offers from landing in your box altogether? Doing so is far easier than you might expect. The FTC Doesn’t Want You to Miss Out on This Offer! The Federal Trade Commission, which manages the process for permanently removing people from prescreened credit and insurance pitches, advises visitors to its opt-out website that they may actually want to receive some of these offers. I get it, FTC, you’re playing devil’s advocate. But I’m pretty sure anyone hellbent on getting into debt can find a credit card company willing to collect interest off them for the next entire rest of their lives. If you don’t want the temptation of credit card offers and feel bad disposing of more mail than you actually bring into the house each day, opting out is the way to go. You can choose to opt out of credit card offers for five years or the rest of your mortal life. To opt out of offers for five years, visit optoutprescreen.com and select the “Electronic Opt-Out for Five Years” option. You’ll input your name, contact information, Social Security number and date of birth. In about 10 minutes – maybe less! — you’ll be all set. You can also opt out by phone at 1-888-5-OPT-OUT (1-888-567-8688). To opt out forever, go to the same website and choose the “Permanent Opt-Out by Mail” option. Here, you’ll give the same information as above, but in the end, you’ll print and return, snail mail style, your signed permanent opt-out form. The FTC explains that requests to stop receiving this junk mail get processed within five days, but it may take up to two months before you stop receiving mailed offers. Opting out will prevent you from getting solicitations based on information from the major credit bureaus (without your opt-out request dinging your credit reports). However, you may still receive offers from other sources, like credit card companies you already do business with.